The Revolution in Egypt and the Future of the Middle East: Globalization, Islamism or Democracy? 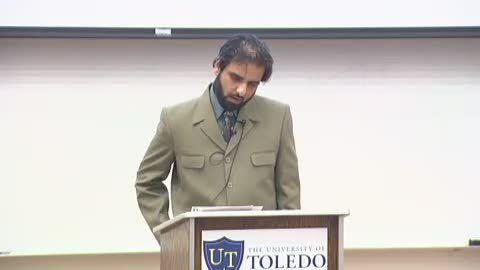 Dr. Ovamir Anjum, the Imam Khattab Endowed Chair of Islamic Studies at The University of Toledo presented a lecture. The lecture was titled: "The Revolution in Egypt and the Future of the Middle East: Globalization, Islamism or Democracy?" In this lecture, Dr. Anjum addressed the groundbreaking impact of the recent uprisings in Egypt, Tunisia and elsewhere in the Middle East, examining the nature of these changes for the future of the Middle East and their impact on American foreign policy. In these revolutions, elements of globalization, democracy and Islamism have come together in a new way that is fraught with tremendous opportunities and consequences for the Islamic world as well as the West. Dr. Anjum has studied intellectual and revolutionary movements in the region for more than 10 years and has written and lectured in the subject.